It's probably stating the obvious at this stage to say that I am more than a little "in love" with Stila. If it wasn't obvious by my rather ahem large Stila Collection (read the post here) then you could tell by the fact that I like to clean up my local Stila stand (that's not weird right?) Ahh the brand is so pretty and inspiring - the thought of new products makes my heart skip a beat. Stila want the site to be more than just an online shop, it will be a source of information and inspiration guiding us through the season's trends and showing us videos demonstrating up to the minute looks. 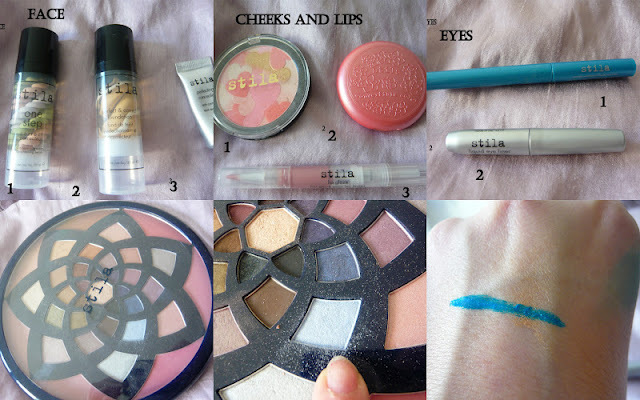 I am excited not only to have access to the newest Stila products (I checked Boots and the new collection is not available there yet) but also to tutorials and the newest makeup trends. 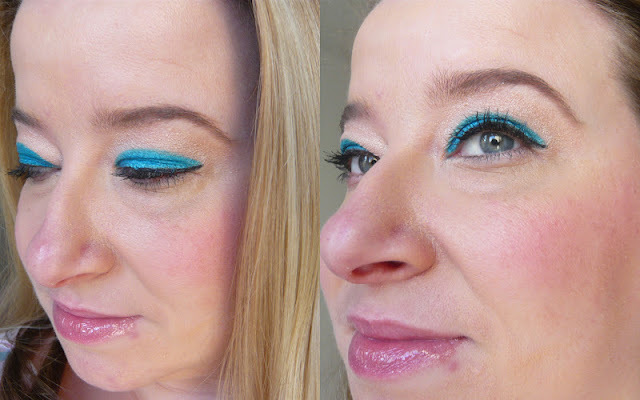 To celebrate the new Stila Site I decided to do a bright Stila Spring look, this is bright and pretty and really simple to do. 1. I primed the lids using Stila Taffy and then applied Stila's famous eyeshadow in Kitten all over the lid - this colour really does suit everybody and adds a glimmer to my lids. 2. I used a light blue eyeshadow and brought it just up past the socket. 3 & 4. I lined the eye using a black liner and brought it out in a subtle cat eye. 5. I then did a bit of colouring in. I took Stila Sparkle Waterproof Liquid Liner in Bora Bora and used it to fill in from the tip of the inner eye to the outer tip of the cat eye. 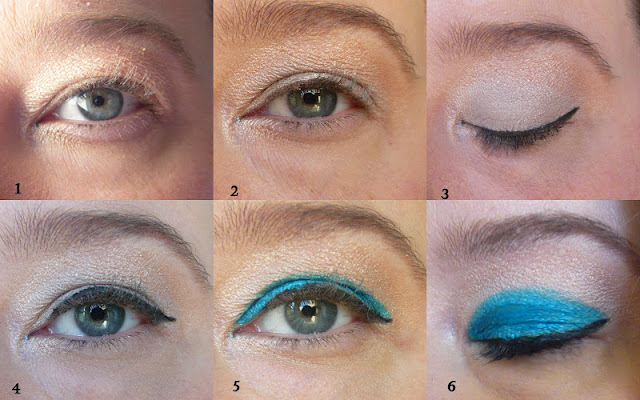 You will need to leave your eyes closed for a few minutes to allow the liner to dry. The effect is almost like a double liner. Since the eyes are so bright I wanted the rest of the face to be soft and pretty, I used Stila Convertible Colour in Petunia on the cheeks with a light dusting of Stila Make Me Blush and finished it off by applying Stila's famous Lip Glaze to my lips. So if you're looking for me I will be over on Stila's new website. I shall meet you over there (here), How brilliant is the FREE SHIPPING?